KPMG in Singapore has launched “Digital Village,” an online platform aimed at stimulating collaboration between corporates and the startup community. According to Lyon Poh, the head of digital and innovation at KPMG in Singapore, commercial innovation activity often lacks appropriate management support to obtain tangible outcomes. “Whether it is a small local enterprise or a large multinational company, many are often too focused on achieving marketing benefits,” Poh said in a media statement. With that in mind, KPMG’s Digital Village program allows both startups to accelerate development and grow to the next stage, and corporate clients to get equipped with the latest innovation technology. Additionally, the platform can facilitate the adoption of innovation and technology by domestic businesses to grow and be competitive at an international level, Poh said. To sign up, startups have to go through a selection process that is quite similar to any accelerator, incubator selection process. This includes pitching, presenting their products to KPMG and the firm’s corporate clients. Then, the teams will be able to work with KPMG’s executives to align their products with the corporate’s needs. Finally, the startups will meet with the client during Pitch Day. Corporates on the other hand will get support in their innovation journey and access innovation workshops. They will also be able to connect with innovative startups that are offering products that suit their needs, and gain access to KPMG’s global network of experts. Launched in April during Tech in Asia Singapore conference, KPMG’s Digital Village initiative has already attracted a number of corporate participants and has partnered with renowned players in the community. Partners include Microsoft; Nest, an accelerator who invests in early stage startups; Hyper Island, a consulting company specializing in digital transaction and digital leadership; AIA’s Edge Lab, the insurer’s innovation center; and Tech In Asia. Apart from fintech, KPMG’s Digital Village focuses on health technology and logistic technology, as well as other strategic industries identified in Singapore’s Smart Nation’s vision. KPMG’s Digital Village initiative comes at a time when an increasing number of digital platforms have emerged to stimulate fintech development and foster collaboration. One of these platforms was launched earlier this year under the leadership of Microsoft, Efma and Avanade. 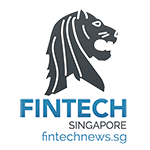 Dubbed the Fintech Portal, the platform connects innovative fintech ventures to Efma’s partners of 10,000 banks and insurance companies. Efma is a global non-profit organization established in 1971 by banks and insurance companies that aims at facilitating networking between industry players and decision-makers. Other similar initiatives that seek to foster fintech development and connect participants of the fintech ecosystem include Level39, Europe’s largest tech accelerator for finance, retail, cyber-security and future cities technology companies, the Copenhagen Fintech Innovation Research Association, Holland Fintech, and Fintech France. Featured image: Mind Map Team Illustration by Ellagrin, via Shutterstock.com.